A beautiful, three-piece piece leather construction, this double-stitched upper comes in a black smooth leather finish. Your feet will thank you! I work in Law Enforcement and I have worn Swat, Danner, Lowa, and now these. I hated wearing cheap boots everyday and wanted something completely water proof. 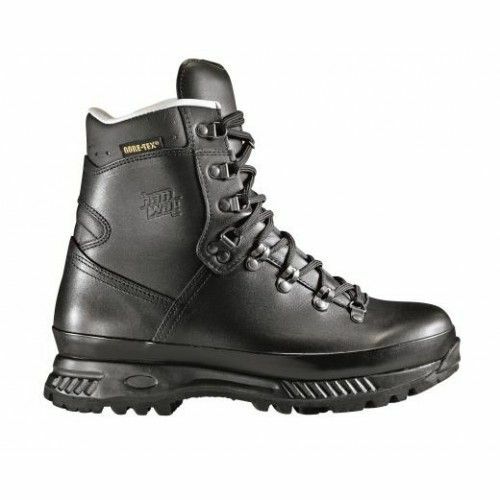 Hanwag Special Force GTX has so far been my favourite boot. They are built fairly well but you will certainly pay for it. Unfortunately I found that the rubber that runs around the outside of the boot began peeling away about 8 months into wearing them everyday, and thus they were no longer water proof. I have worn the soles right out now, and they have become hockey pucks in the snow and ice. I was going to have them re-soled, so that I didn't have to spend another large sum of money, however the rubber peeling away prevents that, and unfortunately Hanwag will not help with this. These are however the most comfortable boots I have ever worn. 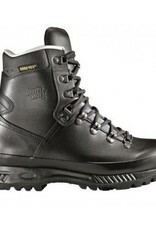 I have used them in all sorts of weather conditions, hiking up mountains, and crossing rivers. The only other con I have found is that they aren't insulated, thus your feet will become exceptionally cold during our Canadian winters. I have ordered a new pair of Alaskans tonight, so hopefully the above noted issues will not happen again.